When I first started thinking about building websites many years ago, I had absolutely no idea how Google worked. The year was around 2003 or 2004, and I honestly didn't even know that normal people like you and me could create a website and have it rank on the first page of Google. Maybe I thought that only large corporations that paid to be listed there could make it. Overall, I had no clue how to rank in Google. So, I decided to ask around. I emailed a cousin and the spouse of a different cousin because I knew they were “tech geeks”. I figured that since they knew about computers, they should also understand how Google works. They graciously offered me the pointers they could, but Search Engine Optimization really wasn't their domain. I felt pretty lost. I didn't know a single person that really knew anything about how Google worked. So, this began my personal journey of exploring the hidden world of how websites actually rank naturally within Google and other search engines. After lots of trial and error, and several years, I was able to educate myself enough on ranking a site in Google, that I was able to quit my job almost 2 years ago because I was making more money from my websites than I was from my day job! The process of knowing nothing 10 years ago to now using SEO as a way to drive my full-time business is still astounding to me. 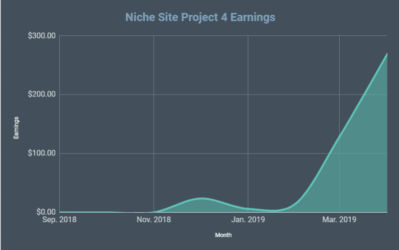 Since starting my blog here at NichePursuits.com, I've written lots of details about niche sites, how to create them, monetize them, link building tactics, and more. However, I have no one post that overviews the entire process of how to rank a website in Google…that would be easy to consume and understand by someone just getting started. I am writing this post for someone just starting out that is trying to wrap their head around how Google works. This is the post I wish I had 10 years ago when I first got started. Be sure to read to the end, as I include specific keywords that I am ranking for, how much traffic I get from them, and how you can do the same. Google's purpose is to show results that are the most relevant and highest quality based on what someone has typed into the search bar. This is not an easy job. So, if someone goes to Google and types in: “What is a blog?”; how does Google know which site should be ranked first? After all, there are literally millions of websites that talk about blogging. Google looks at on-page factors and off-page factors to determine what site should rank first. On-Page factors include things like: the title of the article, quality of grammar, use of the search query (keyword) in the article, and more. So, an article that is titled “What is a blog” is more likely to rank than an article called, “The Origins of Blogging”. In addition, having the actual search query (keyword) in the article (not just in the title) also helps Google know that it should be ranked for that phrase. However, these on-page factors are only 1 piece of the puzzle. Off-page factors are also very important. These include links (other sites referencing the site with a hyperlink), social factors (how many people are talking about the site), and overall authority of those linking or talking about the site. For even more depth, here's a list of 30+ ranking factors used by Google. As you can see, when Google has to look at millions of sites all talking about the same thing, its not an easy job; but the below guidelines will help you understand how it all works. 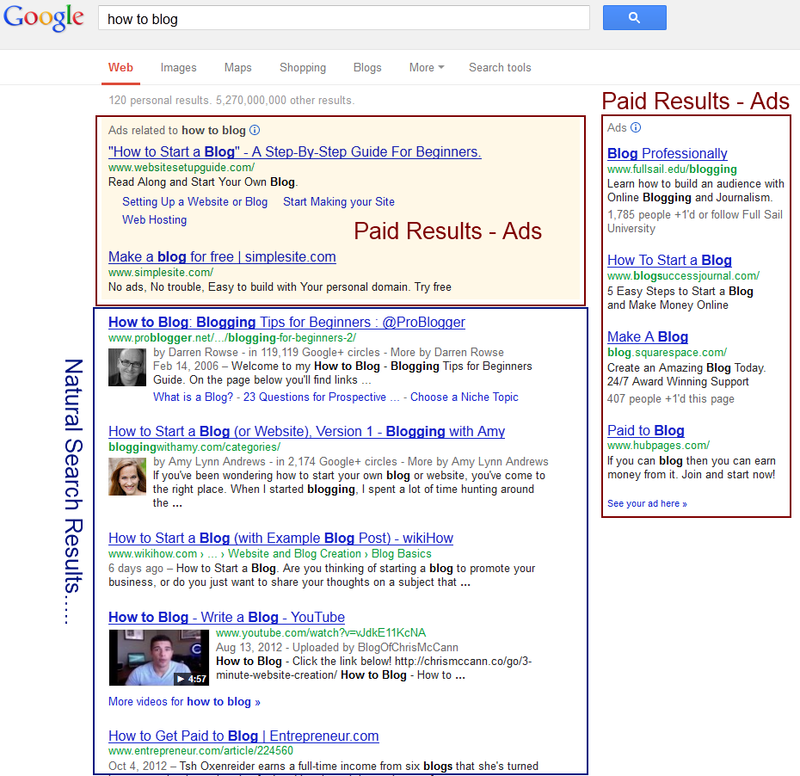 Overall, Google will usually display around 10 “Natural” results per page. A “natural” result is one that is NOT paid for. So, if you have a website that is the most relevant and highest quality on a specific query, you could be ranking at the top of Google for free! Generally speaking, you should not expect to rank in Google if you don't even mention the keyword you are trying to rank for in your article. Even better yet, is if you can mention the search query in your page title (more on that below). This of course, makes intuitive sense. A page that talks about “how to blog” is more likely to rank above a site that talks about “bass fishing tips”, for the query “how to blog”. So, be sure to at least mention the keyword you are trying to rank for in Google in your article. This really underscores the importance of planning! If you don't target any specific keywords to try and rank for, you are not likely to rank for anything significant. Yes, you want to mention your keyword in your post, but don't go overboard! Mentioning your keyword once or twice in your article is sufficient! If you start mentioning your targeted keyword in every paragraph, this is called “keyword stuffing” and Google could actually make you rank lower because of it. So, don't shoot yourself in the foot by overusing your keyword – a couple of times is just fine. So, you understand keyword relevancy now. But even more important than mentioning the keyword within the text of your article, is mentioning your targeted keyword in the Title of your article! Google places more weight on what is mentioned in the page title. Again, this makes sense: Whatever the title of your article is, really should be what your article is about. Again, its just a matter of planning. If you are randomly blogging on your thoughts on the world, you might title an article, “My thoughts for November 2012”. How many people do you think are searching for this on Google? Right, none. But lets say that “My thoughts” article, you actually were writing about how you learned to improve your resume writing skills. Now by simply changing your title to, “How to Improve Your Resume Writing Skills”; NOW you have something that people are actually searching for on Google! By simply optimizing the titles of your articles, you could see the difference between almost no traffic to lots of free Google traffic. If you are looking for ways to brainstorm for great article ideas, read this. What is a backlink? A backlink is simply a “hyperlink” to another website or page. (I just hyperlinked the word, “hyperlink” to Wikipedia in the previous sentence…cool, huh?). These links are Google's way of knowing that something is being talked about and is potentially important. The more “votes” or links that a site gets, the higher it is likely to rank. More links from more authoritative sites are likely to be more valuable. A link from CNN.com is more valuable that a link from your cousin's personal blog (unless he's really cool). Make sense? Some people think that links are the end all and be all of ranking in Google. But its only one piece of the puzzle. Yes, it helps; but your focus should really be on finding keywords to rank for with low competition, writing high quality content, and optimizing your titles. Then once you have quality content, you can share it with others in your industry, network with related bloggers, be active on social media, and other sites will start to link to you! I have written about a number of link building tactics in the past, but your focus should really be on great content and building relationships. You could literally spend months researching different link building ideas or spend thousands of dollars on services that will do it for you; but if you are just getting started, you should focus on the basics. A great article on relationship building as a source of links is here on the SEOmoz blog. If fact, some say you should never try to build any links manually yourself…ever! 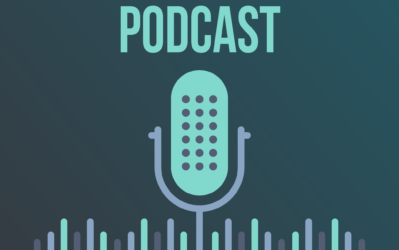 I did a podcast interview with Fraser Cain a while ago, where he discusses building a six figure website without ever “building” a single link. Marcus Sheridan also stressed the same point in my last podcast interview with him. Domain Authority and Page Authority are terms used by SEOmoz.org to quantify how authoritative a site or page is overall. This goes back to my example of getting a link from CNN.com being more important than getting a link from a weak site. If you can get a link from a high page authority page, this is likely to help your ranking. These metrics are also important to understand when trying to figure out what keywords you want to rank for. For example, the keyword “business ideas” has lots of pages that not only mention the keyword in the title, but also have high domain or page authority. This would be an EXTREMELY difficult keyword to rank for (more on this keyword below). However, if you look at the keyword, “Niche Business Ideas”; the results are much less authoritative. This means it would be easier to rank for than the keyword, business ideas (example provided below). Is the keyword mentioned in the article? Is the keyword in the Page Titles? Are the ranking articles of high quality? How many links are pointing to the page? Do the ranking sites have high Domain and Page Authority? (Page Authority is much more important for individual results). To drive the point home about analyzing the competition; I've done a couple of experiments. About a year ago, I randomly picked the keyword “Spencer Likes Honeycombs” to try and rank for. Yes, I know that no one is searching for this term. I picked it as an experiment only. The existing results in Google for this keyword were medium to high level domain or page authority. There were also lots of links pointing to the pages. BUT, the results were not really targeting the keyword. None of them used it on the page exactly and was not in the title. I knew that page title and keyword relevancy typically tops page authority, so I mentioned the keyword in my article. Within minutes I was ranked at #1 in Google for that search term! (Still do). This was simply meant to drive home the significant importance of keyword relevancy over links and page authority. You can read about the entire “Spencer Likes Honeycombs” case study here. With Long Tail Pro, I can quickly see that the top 10 sites in Google for business ideas are quite authoritative. 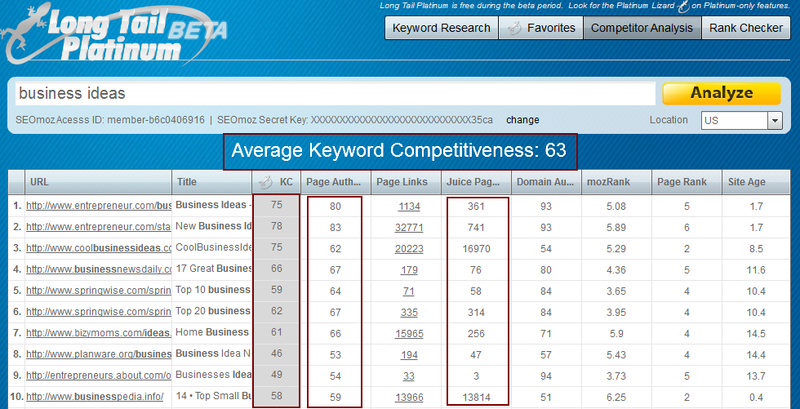 At a quick glance, I can see that the Average Keyword Competitiveness is 63. You can see a full chart of what keyword competitiveness is all about here. But for my purposes, I prefer to target keywords that are under 30 if possible. The Page Authority column also shows very authoritative results. Again, I like results under 30 if possible; most of these are 60 or above. Finally, all of this is confirmed by seeing how many “Juice Page Links” there are (final highlighted column above). So, all of these sites have lots of links. So, instead of writing a big article targeting the keyword “Business Ideas”, I kept searching. What I found is the keyword, “Niche Business Ideas”. Yes, this keyword gets less search volume, but it still gets around 1,000 searches per month. I'd rather rank and get SOME traffic for a keyword that gets a decent number of searches, than rank no where in Google and get NO traffic for a keyword that gets searched for 100,000 times per month. As you can quickly see, this is a MUCH better keyword to target. 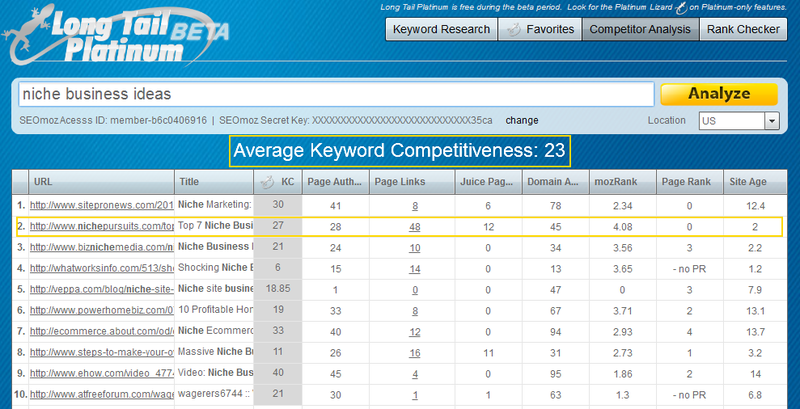 The average keyword competitiveness is only a 23! As you can see, the Page Authority of the ranking sites is much lower and there are much less links pointing to these top 10 sites in Google. So, what did I do once I found this potentially easy to rank for keyword? I wrote an article targeting this keyword! You can see the article I wrote about niche business ideas right here. The results? Well, as you can see highlighted in the image above, I am now ranking #2 in Google currently for that keyword! (I bounce between 1 and 2 frequently). I didn't manually build a single link to that page. However, because others read my article and liked it, you can see that the page does indeed have 48 page links. And more importantly than where I am ranking is the traffic! For this one keyword, I get a few hundred visitors each month. The article itself got 859 visitors from Search Engines in the past 30 days. If I had targeted the keyword “business ideas”, I would probably be getting almost nothing (because I wouldn't be ranking). While a few hundred visitors each month won't change your business overnight; imagine multiplying this by hundreds. I have hundreds of articles on my blog here and rank for lots of different keywords. All of this translates into more free traffic and eventually growth in my business. Overall, understanding how the search engines work is so vital to your success online! If you want to rank in Google, you need to first make sure you are targeting something that you have the potential to rank for. Then you need to look at the items I discussed such as keyword relevancy, quality content, page titles, links, page authority, and more. I REALLY wish I would have had this knowledge 7 or 8 years ago. However, I hope that this post has given you the information you need to rank in Google and get the search engine traffic that you want. I would love to hear your thoughts and comments or questions that you have below. I look forward to the discussion. Great post! Do you still add h1, h2 and h3 tags to each post? Are you using the main keyword or more of a LSI keyword to the headers if you are using them. No, I don’t worry about h1, h2, etc tags. In fact, I never did. Just using the keyword in the title and then naturally throughout the post. I do my best not to overuse it in headers, etc. Super post. I am going to spread the word and share it on Twitter now. “Not building a single link” love it! Hi Spencer, great post – thanks for sharing this info. It makes a lot of sense. Thank You! You always post such educational posts! The method you use are true and tested, excellent! I noticed some of my local domains are coming back to page 1 or 2 (citydivorcelawyers.com, etc), seems Google is favoring the local domains. Thanks Claudio, good to hear that some of your sites are coming back! Local SEO clients (20), none of them lost rankings, all of the sites with social media signals, G+, etc, mostly manual linking, directory submissions and lots of manual positive reviews. Adsense sites (50), 50% down in G, still rank in Bing and Yahoo. Never recover anything, even doing good linking or social media. The sites that tanked most, were the ones that the main kw had more searches. Thanks for the stats Claudio! Interesting to see what has recovered for you and what hasn’t. Great starting point for complete beginners. Awesome stuff! After their latest updates I’ve been so confused where to start up again. Thank you for this post Spencer! You’re welcome Long…glad you found it useful! Great post for beginners. One thing I would keep in mind for beginners is onpage factors are a little tricky now in my opinion and have changed in the past year. You touched on it a bit, but alot of stuff out there still preaches keywords in Title, URL, H1/H2, Image Alt Text, etc. This has all changed and it seems will work against you most of the time, and it’s important not to over-optimize your onpage stuff. You benefit more by only having your keyword in the URL OR Title and leaving it out of the H1/H2/Alt Image and using related keywords or synonyms. Or have your keyword in H1 and Alt Image but use synonyms in the URL or Title. Point is, as you mentioned, don’t overdo it. Combine that with mixing up your anchor text for links ALOT and you should be on the right path. I totally agree Bill. Its hard to cover everything in one post, but your points are spot on. 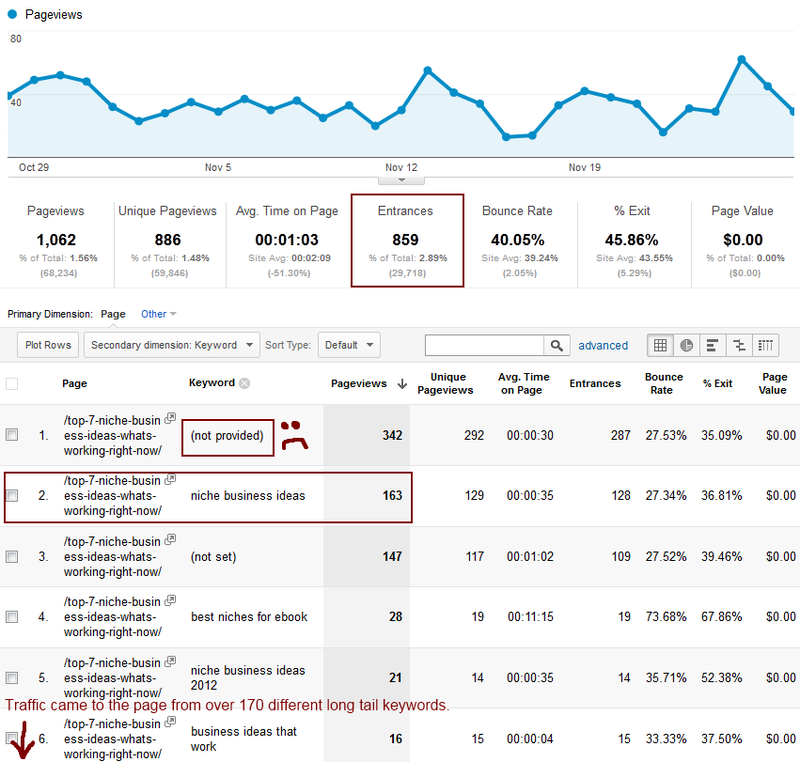 Spencer this is a fantastic post on SEO and exactly what it takes to get ranked. It seems like with the latest google updates you need an optimized title and quality content that people will naturally share to create links. Is this what you are striving to do in order to rank now? Yes, this is what I strive to do. Although you don’t just want to sit and wait for links, you need to go out and get involved socially with others in your niche. Quote their content, share with them, and then they will likely reciprocate (with a link) at some point. awesome post. This could not have come at a better time. I am trying to figure out how i plan to tackle the SEO for my next niche site..
Spencer, I have one technical question about Long Tail Pro. To get the data it is linked to SEOmoz and Google, I guess via some kind of API. What would happen if one (or both) of these companies discontinued their service. Would this disable Long Tail Pro? Have you got any Plan-B if anything like that happened at some point in time? Yes, if Google and SEOmoz shut down tomorrow, then Long Tail Pro would need some significant changes! However, these companies have been around a long time, and I don’t expect them to go anywhere. If they do, most certainly we would find a plan B. Thanks for your reply. I didn’t mean exactly that they would be gone, just that they may discontinue the service. Google is known shutting down services which they don’t like anymore… Or they may decide that giving away API to their Keyword Tools (AdWords) does not serve their interests. I really wished I had something like this to read too about 5 years ago when I first found the online world. It took me about a year to find freelance writing and never made more than $500/month as a living income, so I had searched for another 2 years or so and found more about blogging and making money from google adsense earlier this year..Im still working on what I have learned and putting it into action….wish I could have started years ago, but I am doing what I can now. Thanks Spencer for all your support and friendly teaching approach! Thanks Quinn – great content and relationships really go a long way. Great to hear you are having positive results with your on-page changes! Awesome post!! I’m just starting to get serious about SEO – I’ve been releasing articles over the past 3-4 months. Would you recommend going back through the older posts and ‘re-writing’ them to be more keyword centric?? Derek – Very possibly, yes. If you articles are not really targeting any keywords, then I would definitely go back and make some adjustments. Remember not to “keyword stuff” your articles. But if you can use a descriptive title that describes your post and targets a keyword, then its a great move. Great post as usual Spencer! Lots of solid information for beginners such as myself. I’m trying to soak everything up, researching keywords and focusing on creating quality content. Thanks for the information, very helpful. Spencer, really great post to be able to point people to and show them how Google works. There is no magic method to get to the first page and I think your clear description of the value of building quality content (first page worthy content) is key! Nice post … I would suggest you to post about over optimisation as it is serious issue now a days. 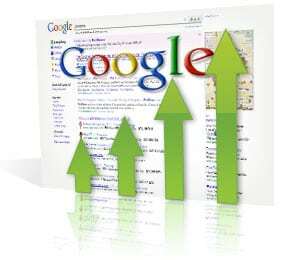 Many websites are victim of google updates due to over optimisation. Shehzad – I only touched on overoptimization briefly. Since this is a beginners guide, I didn’t want to overdo it. However, you are correct – there is no need and can actually hurt you to mention your keyword too often. Great job, I dream of a day when someone comes along and knocks google of its perch. I would love to see that 🙂 More competition is always better for everyone. OK, so where were you and this post 18 months ago when I started..
Its funny, but I think sticking to the basics probably does more good then any other trick.. Fantastic post Spencer! Still working on soaking in all the knowledge and improving. Seems like with each to thing I learn I wish I could go back and start my sites all over! Thanks Jon! I think you’ve done well with your sites so far, but all of us can always improve…me included! Great post (as usual), Spencer. What about social metrics? They seem to be getting more weight than before. Facebook, Twitter, etc mentions can sometimes be as powerful or more powerful than incoming links. I only touched on social metrics briefly. I think its important to be involved with others in your industry. This is often done through social means (facebook, twitter, linkedin, etc). So, yes, social metrics are important – but for beginners the focus should be on quality planning, excellent article writing, and generally networking in your industry. Wow, Spencer. Love the case studies you share. Thanks for laying this out so clearly. I wonder how much you attempt to use other traffic sources like social media, video, etc. Do you think that would dilute your effectiveness if you focused on them or expand you reach? I do use Twitter and Facebook and Youtube, but they are all minor sources of traffic for me. I can always do better. I recommend mastering one traffic source and then moving on to another when you have time. Don’t try to do all from the start. GREAT post my friend! I’ve always enjoyed following along with you to get your opinions on the latest search engine changes, and what a person needs to to in order to be most successful in ranking on Google. This post was spot on, and certainly offers come very valuable tips! Since I picked up my copy of Long Tail Pro when you first brought it out, I’ve always checked for keyword competitiveness prior to posting. I will say; I don’t typically produce content only based upon a keyword I want to go after. I first ensure I produce epic content for my readers, conceptualize the overall idea or theory I’m trying to convey within the article, and THEN I turn to LTP to figure out what would be the best keyword I could pursue and match up with the article I had just written. This way, my primary focus is on my audience and serving them, and then I attempt to give Google what it’s looking for at the same time. Worse case scenario, if Google doesn’t rank me for it, I still have my audience, because I put them first! Thanks again my friend for yet another AWESOME post! Keep up the fantastic work — I always enjoy your stuff! I approach my posts the same way. Although, I should figure out what key words I’d like to rank for. I guess they would be those affiliate products I believe in. I’ve done ZERO link building in 3 years+, and my traffic has grown to over 200K uniques a month fyi. Link building seems overrated imo. Awesome success Sam! I love to hear from those building a significant web presence through consistent content production (without all the manual link building)…great job. I honestly didn’t know where to start when it comes to manual link building. I guess I could always ping one of the countless SEO folks who e-mail me to do guest posts to help, but I figure, if I haven’t had to do anything manual by now, why change? Hey Alex, I think your approach is great. I often do the same thing where I write a quality article, and then afterwords go back and find a great keyword that should be included in my title. I think either way is fine, but I really do think its an important step to plan what keywords people might use to find your site. You know what would be great? A post on how to rank well on Yahoo and Bing! Any leads or thoughts on them? I agree! Yahoo and Bing are very similar, but a couple of years behind in my opinion. So more exact match anchor text and more links generally still work well in Yahoo and Bing. Bing tends to take much longer to index and rank sites than Google does as well. I had a few EMD niches sites ranking top 10 in Google, Yahoo & Bing. The sites that tanked in Google (not in top 100) all still rank top 10 in Yahoo & Bing. Yeah, prolly 1-2 years behind, but if one can rank well with them now, then thy are 1-2 years AHEAD of the competition! Great post. Can you post a beginners guide for link building? how do you optimize your page contents for SEO? Well done. 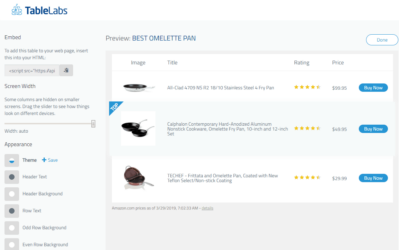 Now I have another clever way to use Longtail Pro. I am using Yoast SEO plugin to assist me with keyword density and it has helped but now I can also verify quickly what I have done and what I should do. after reading them all, I come up with one important point to start with : decide the easiest target to rank for in Google, then do anything else you’ve written above. Thanks for sharing! Very useful for starter like me. I agree, analyzing the competition PRIOR to producing content is critical to ranking in Google. Great overview on Google Rankings. Great guide, great sumup with nice links. I checked the link about the title optimization, and i found out about the AM Institute! Awesome… are you using it? Anyway, one question. 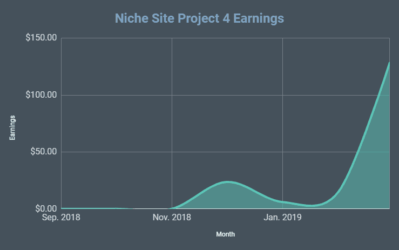 Now you are ranked pretty well for everything related to niche, but im sure that when you started this, you had no traffic, right? So are you saying to grow your blog, rank in google and get some traffic, you just used the techniques above? You didn’t use any of the backlinking techniques that you teach in other posts? Im building my blog right now and i get little traffic… i’m thinking about building some backlinks via Article Directories asking some on Fiverr or elance, but i have to say i don’t really like the idea (mostly because i’m afraid i will be penalized in Google at some point). Nicolas – I have never manually built a single link to my blog here at NichePursuits.com. I’ve only followed the methods discussed in this post…really! I’ve been social with others in my industry; I’ve reached out by email, commented on other blogs (not for links, but to interact), joined forums, and more. This has lead to relationships – which eventually lead to links. But I have never linked to NichePursuits.com via article directories, Fiverr gigs, etc. For authority sites, I would never recommend those “manual” tactics. For smaller niche sites on the other hand, I DO manually build links…its a different strategy. I really like your blog. 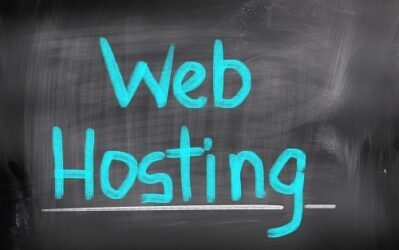 As a newbie, I am trying to create my first niche website but I do have my own blog which is already hosted in Bluehost. I am just wondering if I just need to Addon Domain when assign it. Thank you in advance. Yes, just do an addon domain to your existing hosting account. I was messing around with LTP last night and I saw all the added functionality. When I logged onto it today I noticed every time I clicked on calculate KC I would get a 0. Am I doing something wrong? It says that I’m logged into SEO Moz. Can you try going to the competitor analysis tab and checking the keyword competitiveness is working there? If so, try the avg kc button again. Everything is working on my end. On natural vs paid results – your example is good. But if you look at something seriously competitive (e.g. water coolers, credit cards) then you’ll see about 12 Google Ads and 2 organic results above the fold!!!! And Google have the cheek to penalise sites with too much advertising above the fold! Great article. I was wondering does rss feeds for news makes any difference in your web or blog ranking? Thanks in advance. Probably the reason you didn’t have a post like this to reference 7 or 8 years ago is because Long Tail Pro didn’t exist back then! Imagine trying to write this post and give examples like you did, but using manual keyword research methods and analysis. You might have never written the post because it would be too long. Trying to explain some of these advanced tactics without the simplicity of Long Tail Pro would be much more difficult. When I found your site I quickly was convinced that long tail pro would help me, but after using it for some time, I didn’t end up getting much use out of it and found that using the free google keyword tool worked better for me. I actually came up with a similar strategy to find keyword difficulty with seomoz and have been using that for a while now. So this new long tail pro version would require me to pay again?? I really would like to use this tool and it fits my SEO strategy much better than the previous LTP. hi spencer, thanks for the article, . . i read your experience when you quit your job last 2 years before . . it seems you look like working hard enough to reach that level of adsense earning . . excellent job! I have a good question for you. There are 7 references for the same page in the image but for different keywords. Is this some kind of split testing? Did you create 7 pages exactly the same but with different keywords? I have learned so much from you based on these articles. There is only 1 page. People find the same page using different keywords. it is a really great post and i learn a lot from it, but i start confuse (i read more than 200 post about Google ranking) and most of them says you must have 3-5% density of keyword, and you say that not to fill post with keyword. Is this still the method to use? If not, what has changed? Seems there is an update in progress for Google at the moment. Hi Spencer, I came across a problem that I think may interest not only me. Tell me what do you think about local google ranking ? For example I’m trying to rank in google.ca. and it just don’t works.. I’m ranked in google com.. but everybody search my keywords in .ca so .. May be you know some tricks that can help rank in local searches, maybe there are some special stuff you should do.. If I’m targeting niche long tail keywords,then would Long Tail Pro help me identify keywords that will help me rank my page on top 10 results – like this article of yours is ranking in top 10 results? bought Longtail Platinum 2 weeks ago and just started my internet career. It’s all new to me. Built my first website this week after finding my first keyword and now waiting for google to rank me. Still writing new articles until I have about 20. You’re a great inspriration. Thank you and keep up the good work! Thanks for the great info. I don’t know how you do it… but I have to admit you are good. Awesome posts Spancer! This is the next stage for me. Thank you. I learned a lot! Great post. I read this a while ago but now I have learnt more about the different processes I have come back and read it again & it makes much more sense to be now that I have some knowledge! A quick question – in analytics (your last screen print) do you know why under keyword it sometimes comes up with ‘not set’ or ‘not provided’ – I find this really frustrating! Is there another way to find out what that keyword was? Thanks, keep up the amazing posts. Yes, I hate the “not provided” by Google. This means that a user was logged into their Google account when doing the search and Google has decided to keep these searches private. Yeah. this sort of details will help the newbi to start. But I am still confused about one point of Long Tail Pro. Suppose for a keyword, the top ranked sites doesn’t have any optimized content (suppose content contains only images) and with very few links (<10) pointing to the ranked page. But for a particluar niche these aged sites (more than 10 year) always get ranked without having any optimization (i.e: houzdotcom for home decroation niche). Will it be possible to rank on top if I make a strong, optimized and valuable content and do some link building as well? Hey Spencer, my first time here in your blog. That was hell of a great post. I really loved it! by the way it seems to me that you have a lot of knowledge on creating niche. I hope you may help me by answering a very naive question. in a post you have talked about quality content. but in my blog i like to share some insurance companies details, so that people don’t have run from one site to another for those. but do you think it is fair? do you think it would be legal? I hope I will get the best suggestion. You can use some information from other sites as long as it referenced well. You can’t copy lots of their website, but supporting data or quotes is fine. I have a question, Went i research keyword, I hear that yahoo answers is a weak type, So what about news.yahoo, voice.yahoo.., are they also weak? Thank you! “news” is usually a news keyword, probably difficult to rank for. voice.yahoo would be weaker though. Loved the article Spencer. I was wonderinh whether all of this holds true for e commerce sites like my own? You spoke a lot about including keywords in titles of articles but when it’s an e commerce site with very little articles and throusands of products how do you adapt your strategy? 1. Do keywords in title need to be exact? aka Keyword is, Best Water Bottles…Would the title do best being called “Best Water Bottles”? or can I call it, “The troubles and tribulations of finding the Best Water Bottles” and still rank just as efficently for that keyword? 2. Kind of similar question….when writing a product review article. If the product was “Johns Grill F44 Barbeque”. Will using just that keyword work, even if a lot of people are searching for “Johns F44” (shorter version). Or would I have to physically add “Johns F44” in that article to hit for that keyword? 1. Not exact. Your second option is fine. 2. Again, using Johns Grill F44 Barbeque is fine. Thanks again for all of the great info and tools. All youtube videos could be hard; clearly google is wanting to rank videos for that query. I am so impressed by your articles and teaching abilities. It’s really helped my site Eco-Savy grow. I am also enjoying utilizing “Long Tail Pro” to help grow my search engine traffic! I have a suggestion for you though. Maybe try putting a “print” plugin button aboveyour articles. Sometimes I print them to read at a later time, but the formatting gets messed up when I try to print.